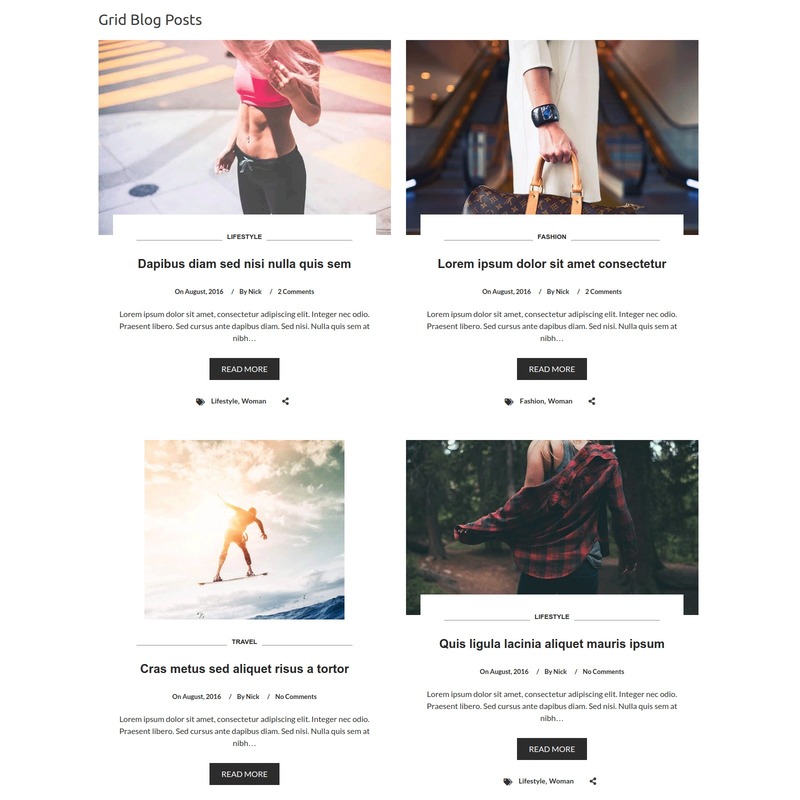 Post Layouts Pro for Gutenberg is a Gutenberg add-on with a bunch of additional style for post layouts that contains unique templates for presentation. This is a standalone Gutenberg solution to give wow design possibility for your blog posts with clean design and fully responsive layout. 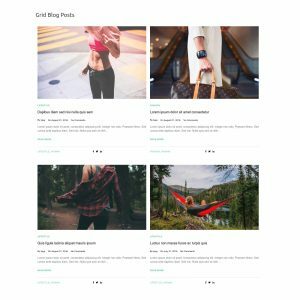 Post Layouts Pro for Gutenberg is a Gutenberg add-on with a bunch of additional style for post layouts that contains unique templates for presentation. This is a standalone Gutenberg solution to give wow design possibility for your blog posts with clean design and full responsive layout. 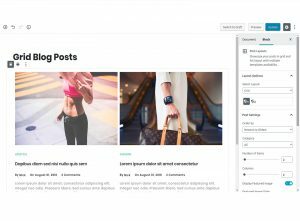 You can say that Post Layouts Pro will be your Ultimate Post Layouts Builder for new Gutenberg Editor. This is a well-designed Gutenberg block plugin with a simple and straightforward documentation. It really helps add a good custom blog layout to your site very quickly. I like the clean grid layouts and it has a bunch of post options as well. Its a pretty essential plugin for the new Gutenberg editor! This plugin Gutenberg AddOn is one of the simplest yet effective plugins I've used so far especially for blogs. It's very simple to use and change post layouts whenever is needed. 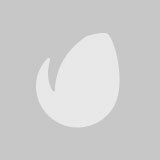 The designs and layouts this plugin comes with are absolutely amazing and useful for any website. I even used one of the layouts as an event page and looked amazing. 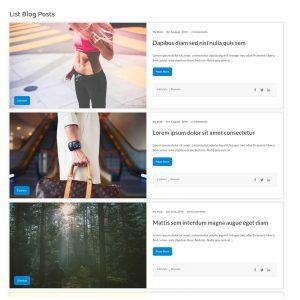 Is Post Layouts Pro premium plugin? Yes! 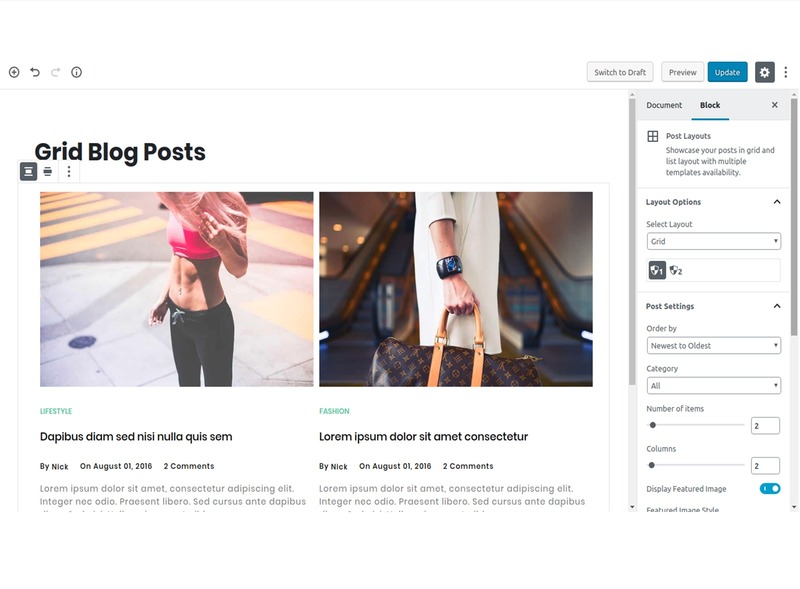 Post Layouts Pro plugin is a premium plugin and you can use it with single WordPress website for one license.